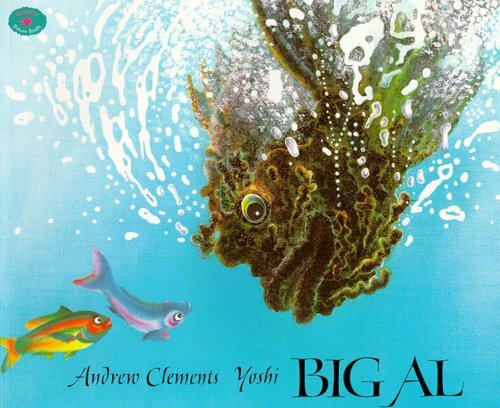 Big Al is the friendliest fish in the deep blue sea but his enormous size, sharp teeth and huge eyes scare away all the other fish. This makes Big Al feel very lonely. He tries lots of different ways to make friends - from wrapping himself in seaweed to changing colour so that he can fit in with a school fish. But nothing seems to work. Just when Big Al wants to give up on making friends, danger comes along and Big Al gets to prove what a great friend he can be. Big Al teaches us that true friendship is more than skin deep. We should not judge our friends on what they look like, but by their actions. This book can lead to powerful discussions on kindness and what makes a great friend. Due to the rich language used by the author, there are plenty of language targets to choose from. The book has a complex episode narrative structure, which means it has all the elements of a true narrative as well as multiple planned attempts. So it’s a great choice if you’re looking for a book which models a good narrative structure to children. There are countless descriptive verbs (such as flopped, wiggled, darted and plowed) which will provide wonderful models to help children increase the variety of verbs in their narratives. This book can also be used if you’re working on synonyms as the author used multiple synonyms for big and small.